Hun deleies med Barbro Werner, og bor ikke her hos meg. 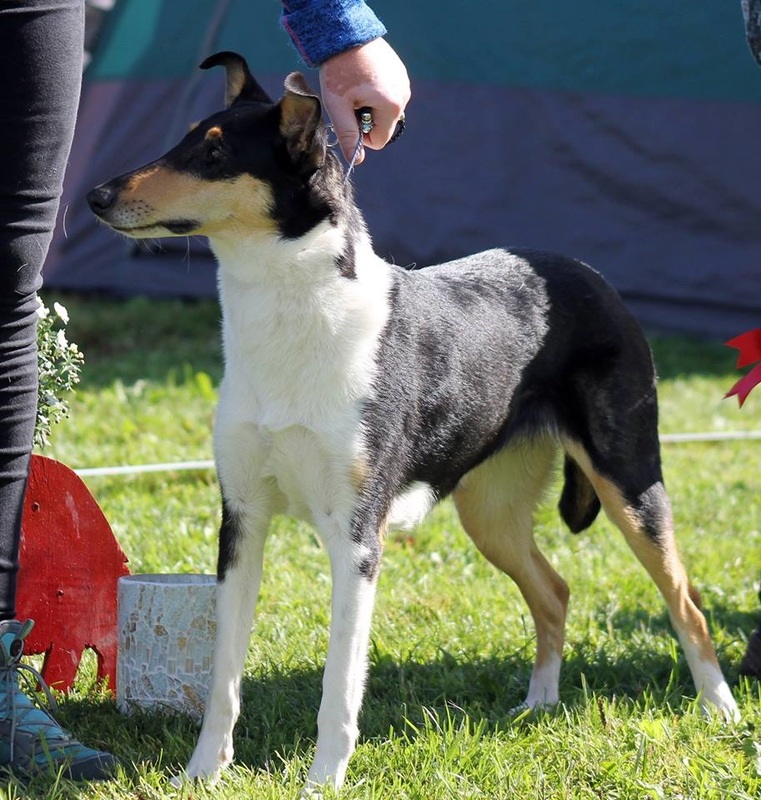 Hun ble mestvinnende collie korthår i norsk collieklubb 2017, og er Norsk utstillingschampion. Eva er en veldig snill og sosial frøken, som elsker alt og alle. Hun er miljøsterk og har et veldig sterkt eksteriør! Hun er øyelyst fri som valp og voksen. Eva, or Callip's Celebrity, wich is her real name, was born 07.03.2016 here with me. She is from a litter of 9 puppies. Eva is co-owned with Kennel Jarobas, and i have the breeding rights of one litter from her. 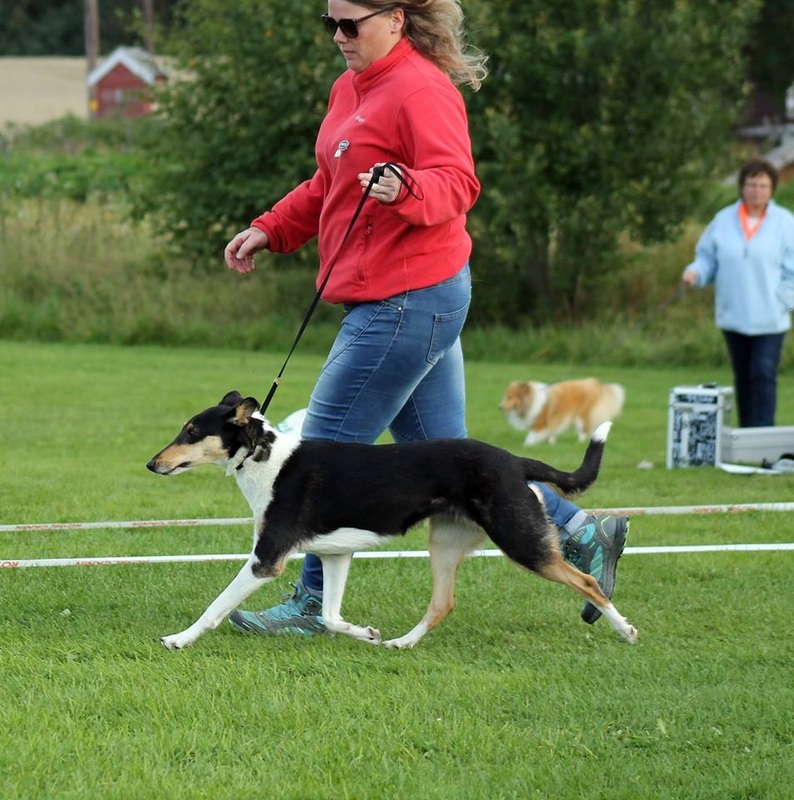 Eva is the most winning smooth collie in Norway 2017 in clubshows! She is also a Norwegian showchampion. She is a very kind and social lady, and loves people and other animals. In my eyes, she has a nearly perfect exterior, which her showresults actually confirms. Her eyes is checked free as a pup and adult.